Have you raised fry from different species? Ever notice how some species grow much faster than others? 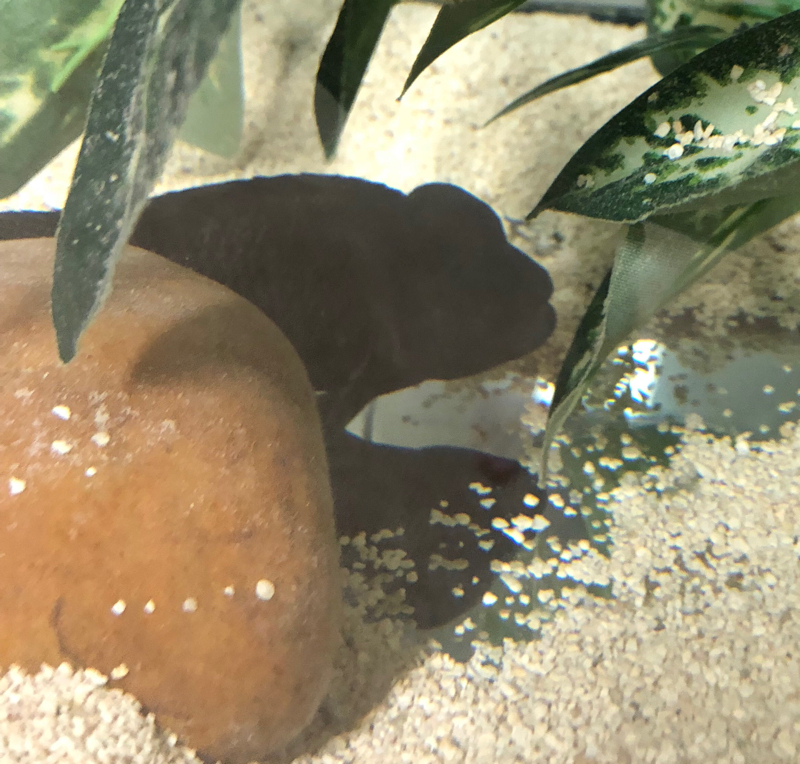 In addition to several other tank members, I have a breeding pair of two different Tanganyikan species in a community 75g – Telmatochromis sp. “temporalis shell” and Julidochromis marlieri. The disparity in growth rates for fry from these two species is staggering. The Telmats are very slow growers compared to the Julies. For two species that reach roughly the same length at maturity, the Julies grow ~3x faster than the Telmats. Within three months, the marlieri fry will be nearly 3/4″ in length whereas the Telmats will be just over 1/4″. Although I provide food suitable for fry only, I don’t segregate the fry in any way. They have equal amounts of shelter from adults in the tank. Food is provided in their general proximity, and it’s every fish for his/herself. If you aren’t familiar with Julies, or marlieri in particular, see the photo below of my adult male. 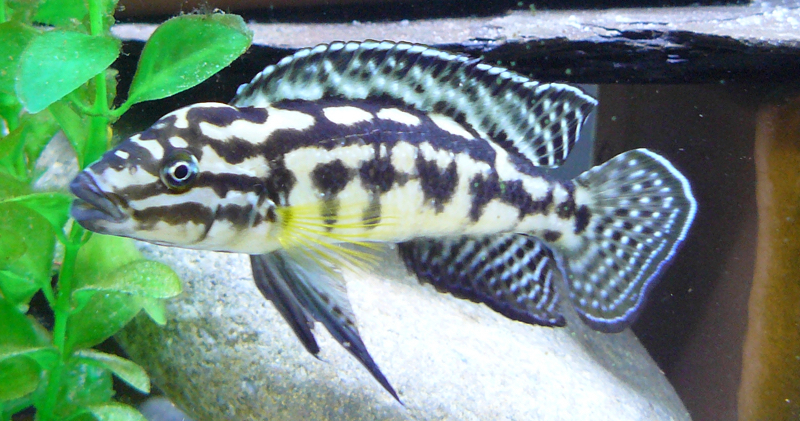 Adult male Julidochromis marlieri. Photo by the author. I have two adult male T. “temporalis shell” cichlids, but they’re in different tanks. Below is a partial photo of one of them. They’re about the same size, ~4.5″ long. Partial shot of adult male Telmatochromis sp. “temporalis shell”. Photo by the author.